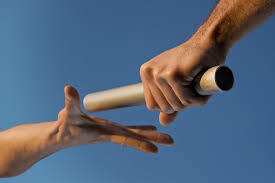 Over the years, there have been leaders who failed to adhere to this principle “pass the baton.” they hold on to the baton, and as a result their vision dies with them. leadership is not a sprint but a relay. in a relay race, the runner finishing one leg is required to pass the baton to the next runner, if he fails to do this, they will be disqualified. In other words, the most important part of the relay isn’t running but PASSING. In the end of the relay, everybody wins not one person. Jesus, the greatest leader that ever lived understood this. with 3 years, he mentored, trained and transfered the baton (knowledge) to his 11 disciples. 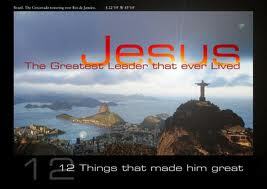 he said, “it is better for you that i go away,” this was one of the greatest act of the leadership of Jesus. he left! and when he did, his disciples did greater works. Most leaders never understand this, they are insecure that is the reason they don’t want others to be greater than themselves. They are ignorant of the fact that when they make others greater than themselves, their legacy lives on. the greatest act of leadership is mentoring, passing your knowledge to the next person or generation, so that when you leave, your legacy lives on. tip 1: if you make people greater than yourself, you will live forever. tip 3:no matter how successful you are, if you fail to produce a successor, you are a failure.